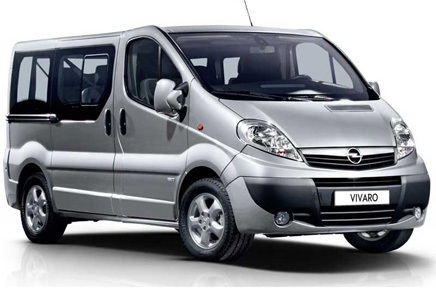 Book your private taxi and minivan transfer to Paleochora at the best price guaranteed. 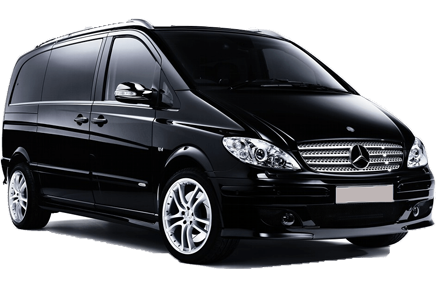 TransferPlan will transfer you from Heraklion airport to Palaiochora as quickly, safely and comfortably as possible. Heraklion International Airport, "Nikos Kazantzakis" is the primary airport on the island of Crete and the country’s second busiest airport after Athens International Airport. It is located about 5 km east of the main city center of Heraklion, near the municipality of Nea Alikarnassos. It is a shared civil/military facility. 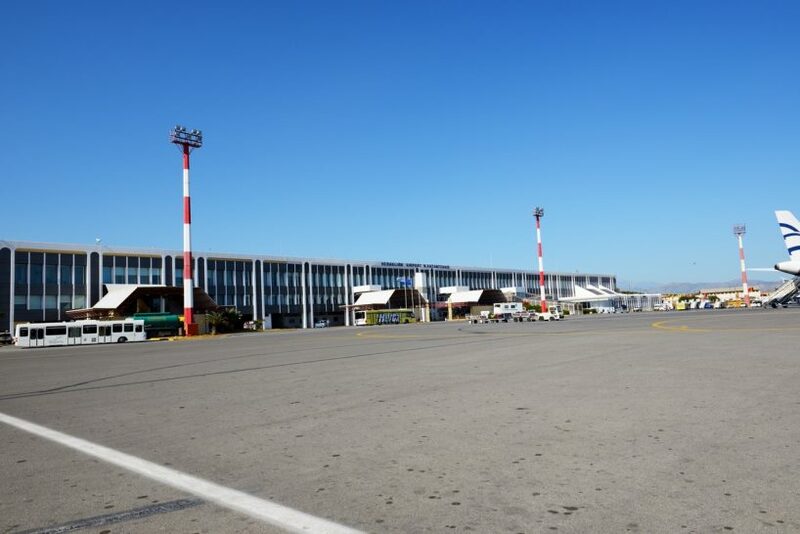 The airport took its name after the Cretan native and most famous Heraklion resident Nikos Kazantzakis, who left his mark in Greek history as a novelist and philosopher. Heraklion Airport is Crete's largest and busiest airport, also serving as a connection between Agios Nikolaos, Malia, Hersonissos, Stalida, Elounda and other resort towns. The airport has been operating since the late 30s and its annual number of passengers is approximately 5 million. The airport serves both domestic and international flights. Heraklion Airport is operating in a renovated and modern space since 1971. The airport complex has been expanded in order to accommodate increased traffic and serve an ever-increasing flight network. Especially during peak season, the airport gets really busy, thus some sporadic delays are expected. The proximity of the airport to the Heraklion town allows the visitor some spare time to explore or simply wind out and have a nice lunch or drink in the local eateries. Furthermore, around the airport, one can find some excellent hotels and resorts in case an overnight stay is required. The historical site of Knossos Palace and the Archaeological Museum are also located nearby and can be easily reached from the airport with our help. Navigating through the airport can be a daunting task, airport staff will be readily available to assist you. 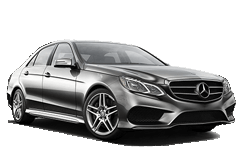 Book your Heraklion Airport transfer now. Enjoy a high-quality service at the lowest prices. Best price guaranteed. That’s why we are Crete’s favourite airport transfer company. TransferPlan will transfer you from and to Palaiochora as quickly, safely and comfortably as possible. Paleochora is a small town located 77 km south of Chania, at the southwest coastline of Crete and it’s built on a small peninsula. Paleochora is built on the ruins of the ancient city of Kalamydi and its economy is based on tourism and agriculture. This small town stands on the ruins of the ancient city of Kalamydi and the locals earn their livings from tourism and agriculture. Palaiochora is one of the fastest growing touristic destinations in Crete. The growth of this town started in the early ’70s when hippies started arriving on the island. Here, you will find small hotels, rooms to let, two campsites, restaurants, traditional tavernas, cafes and all the basic amenities you need for your holidays. Paleochora's wider area is astonishing, with crystal clear waters, well-organised beaches and beautiful isolated small docks. 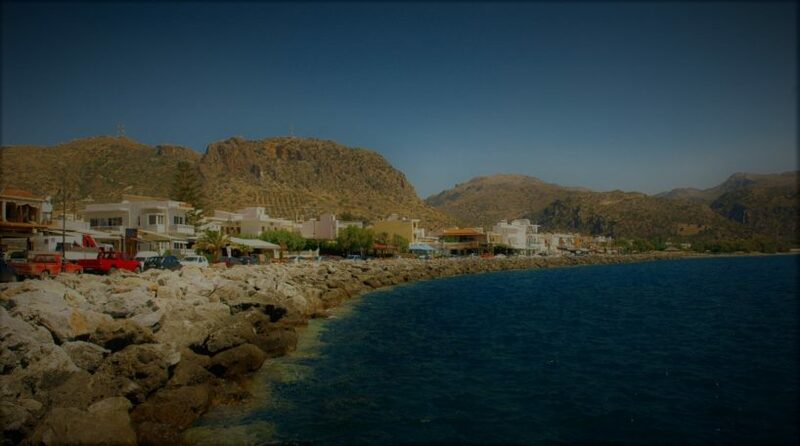 From the small harbour, you can take a ferry for a day trip to nearby beautiful destinations, like Agia Roumeli, Loutro, Sfakia and the island of Gavdos. All places with unique beauty and unspoiled landscape. The town itself is also astonishing, with small white houses, pretty pathways, cosy cafes and traditional tavernas, all run by locals. The Venetians built a fort in the Palechora area, called the Castel Selino. Near the fort, the Venetians established a new settlement for workers and merchants called Vourgos. The pirate Hayreddin Barbarossa destroyed the fort in 1539, like many other forts in Crete. The most inhabitants of the town came here in the ’60s and they were mostly from the island of Gavdos. During that period the residents exchanged their land on Gavdos for land on Crete, who used to belong to Turkish people, through a state program. They created a community known as Gavdiotika in the old town of Paleochora, which is one of the most beautiful parts of the town. Palaiochora is a unique destination, with great landscape, ideal for relaxing holidays and can be used as a base to explore one of the most beautiful parts of the Cretan island. Book your cheap Crete transfers now. Enjoy a high-quality service at the lowest prices. Best price guaranteed. That’s why we are Crete’s favourite airport transfer company.